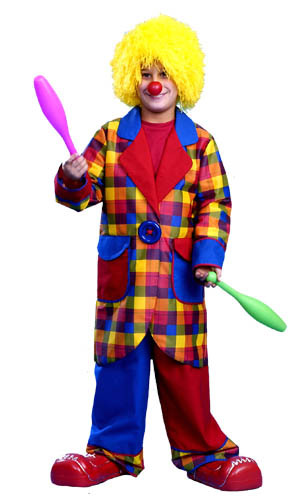 COSTUME INCLUDES OVERSIZED PRIMARY COLORS PLAID JACKET AND PANTS. 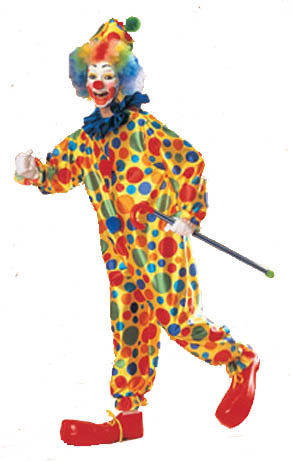 A CLASSIC MUST FOR EVERY CLOWN. 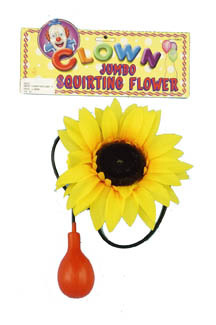 THIS FLOWER HAS A CONSEALABLE PLASTIC TUBE THAT COULD BE PLACED INSIDE SLEEVE AND PUMP HELD ON HAND SQUIRTS WATER. Includes jumpsuit with suspenders and hat. Includes jumpsuit with bowtie and hat. 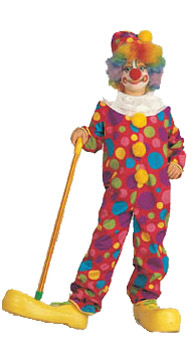 COSTUME INCLUDES POLKA DOTTED JUMPSUIT WITH ATTACHED COLLAR AND HAT. 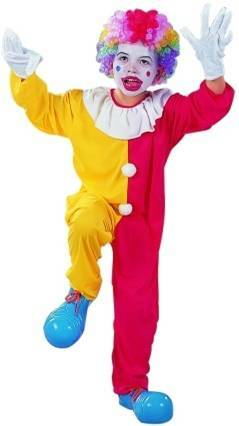 CLOWN ACCESSORIES SOLD SEPARATELY. Includes shirt, pants and hat. Comes in child sizes XXS(0-2) and XS. 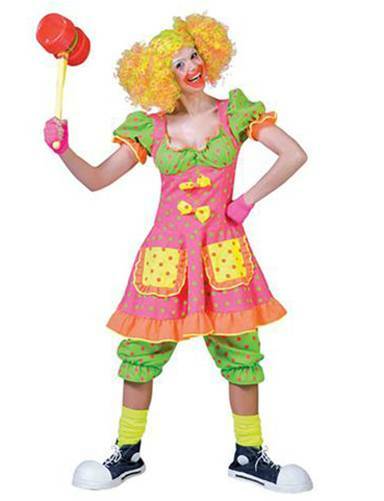 COSTUME INCLUDES HAT WITH ATTACHED HAIR, DRESS, APRON AND STOCKINGS. MAKE UP SOLD SEPARATELY.